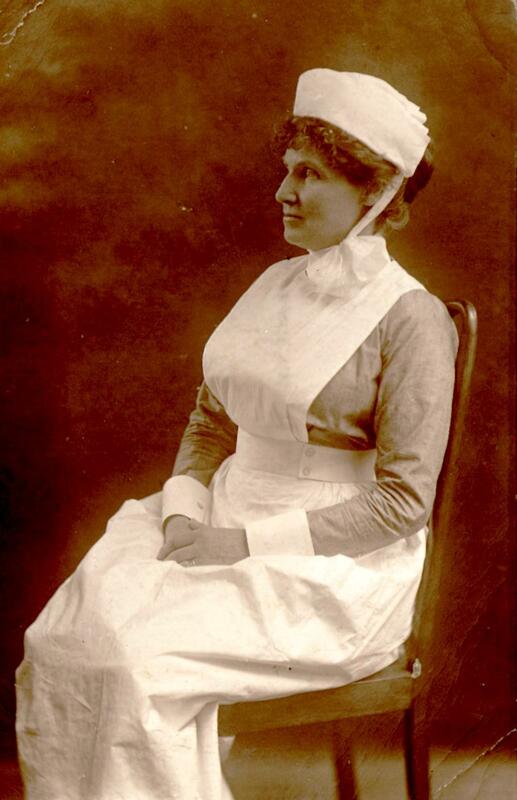 In World War I my Henderson grandmother, Emma, was a nurse and my Irish grandfather, Ivan Tilly, was a captain in the Royal Army Service Corps in France. He was there from 17 May 1915 to 20 May 1918. He was wounded and in hospital at Etaples. 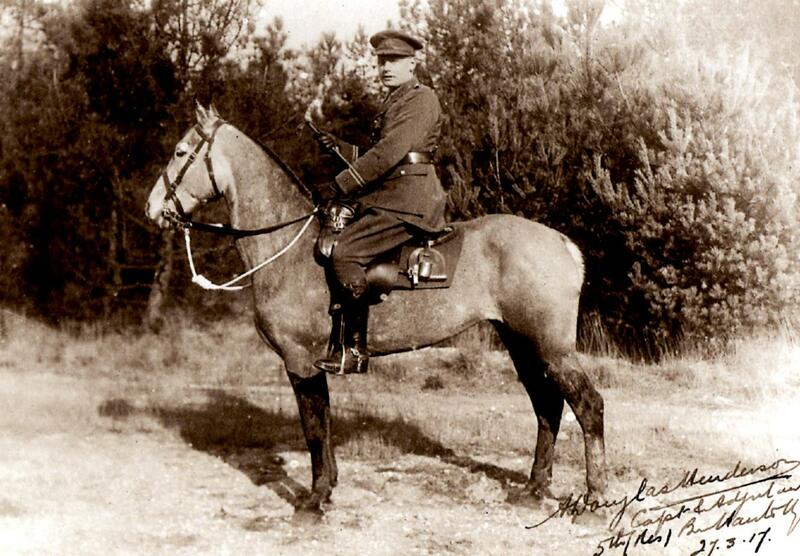 At some point he was also posted to the 3rd Royal Horse Training Depot company. My English father was also in the army, and enlisted in the London Scottish on 29 August 1914 and in January 1915 joined the BEF in France. He was Mentioned in Despatches. We have two of his letters written in pencil to his aunts from near the front in France. The first was in the 1st Battalion in the support trenches during the Battle of Neuve Chapelle. Thank you ever so much for your two kind long letters. I did appreciate them so much. I’m sure you won’t mind my writing to you both jointly, but I don’t think I shall have time to write two letters. It seems incredible we have only left London a fortnight. Events have happened so rapidly, and somehow or other we all feel that we have been out here for months. For one thing there is not a great deal of variety in our daily programme although there is no lack of interest and excitement. 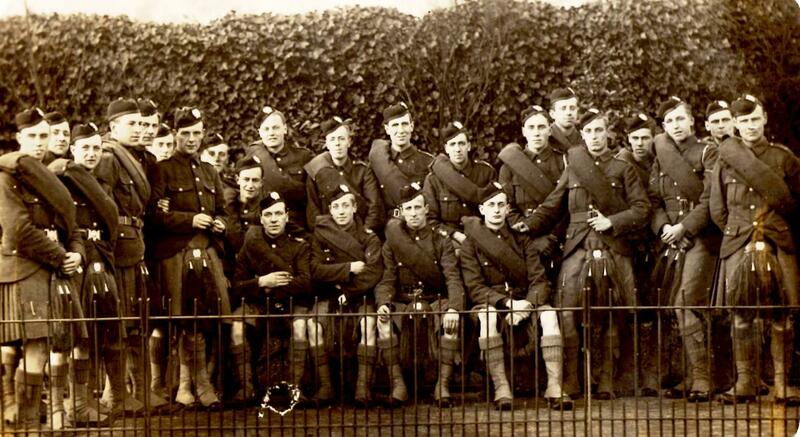 We are all delighted at having become part of the Scottish first battalion, and are in the best of health and spirits. Although of course, there are serious risks to be run. I would not have missed doing my little bit out here for something, as after the war is over those that return will have a wonderful experience to look back on. I don’t envy the feelings of those of my age who still hold back. I am writing this in the light of a glorious day, making it hard to realise that there is such a thing as war, were it not for the constant sound of artillery and rifle fire, together with the sight of battered and dilapidated farm houses. We are billeted about half a mile behind the actual front line, so are quite accustomed to to German shells bursting in the vicinity, together with stray bullets flying about.. There is not really much danger if you put something between yourself and the missile. Of course the fun starts when you don’t happen to have anything between!! I have not been in the actual firing line yet, as on the two occasions that our company has taken its turn I have been among those told off for guard or carrying stuff up to the trenches at night, which by the bye, is rather more risky than being in the actual firing line as in the latter one is always behind cover. However our company is going in tonight, after which I shall be in a position to give my “impressions”. You asked me to say candidly if I wanted anything in the food line out here. Well the following are invaluable so if you would care to send a little out occasionally I should be grateful. Oxo, soups, cocoa, etc in cube form and anything in the way of confectionery. 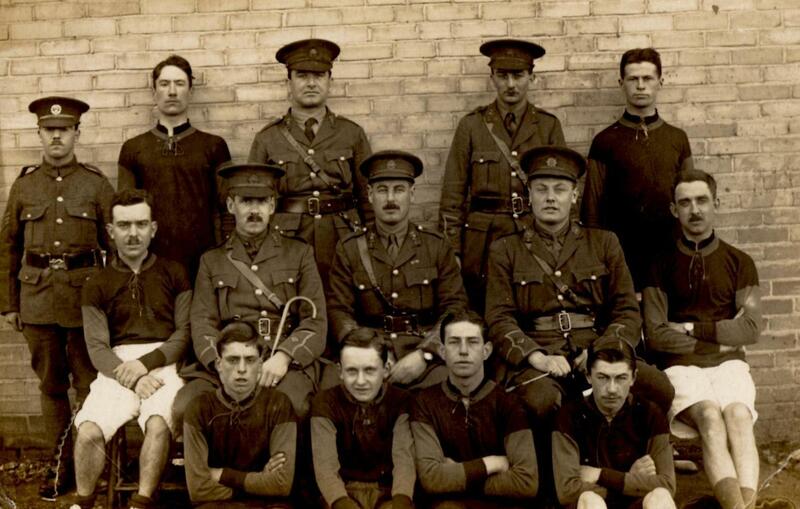 (London Scottish Archivist writes, “On the 12th June they were in the trenches near Vermelles until the 19th and had a fairly quiet week. He was in Bethune when he wrote this letter. On 25th July they were in Cambrin). Thank you ever so much for the parcel of good things which arrived yesterday and was very welcome, as you can imagine. The cake was particularly appreciated – because it was home-made and because you made it. We have come down from the front line for a short rest, and are billeted in a fair size town two or three miles back, the whole regiment being quartered in what was an orphanage, and on the whole it is quite comfortable. One would think that here, at any rate for a space, one was immune from Hun “frightfulness”, but every day they send a dozen or more shells into the town, which of course take their toll of civilan life, as a rule, as the place is entirely unfortified, although of course there are a certain number of reserve troops quartered here. Yesterday the shells were dropping very close to us. One doesn’t mind that sort of thing so much in the firing line, but here but for the khaki about one could imagine there were no war at all, and the sudden whistle followed by the crash gives one a mixture of feelings, the predominant one being, I think, revenge. We expect to be here a week or so, after which, I suppose, we go up into the line again, but we don’t know what part at present. We are just off for a hot bath (an almost unknown luxury out here!) so I will have to close. With ever so much love to you both, thanking you ever so much again for your parcel. 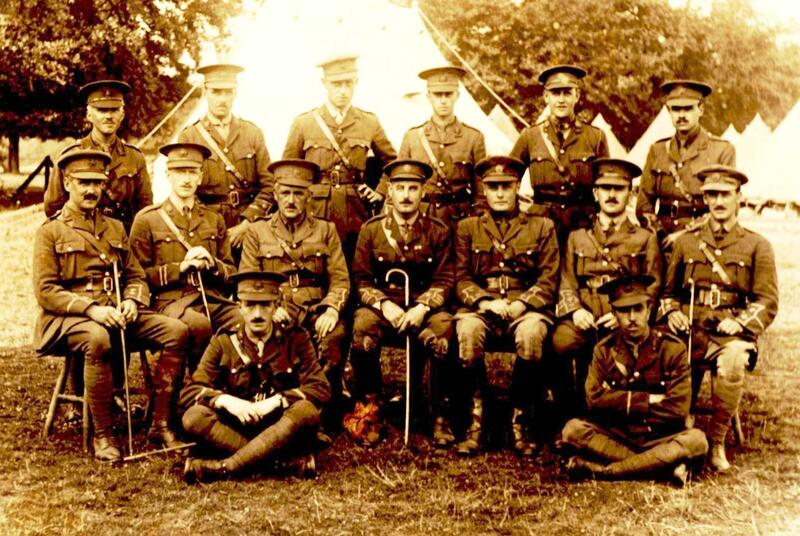 On 29 August 1915 our father was discharged to a Special Reserve Commission as a 2nd Lieutenant in the 3rd/5th Battalion of the Hampshire Regiment as Adjutant. 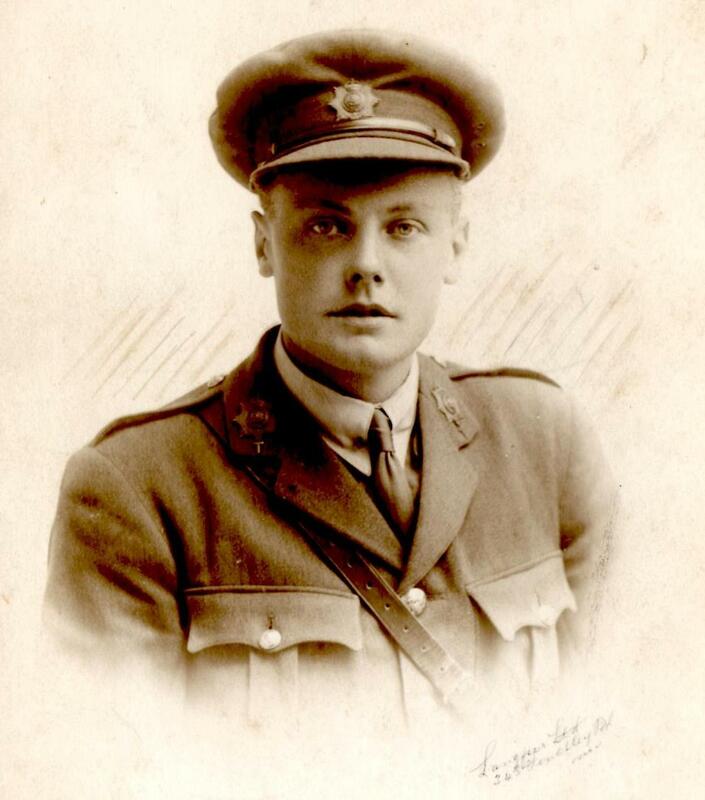 On 5 February 1916 he was promoted to Captain and became Adjutant, 4th (SR) Battalion. 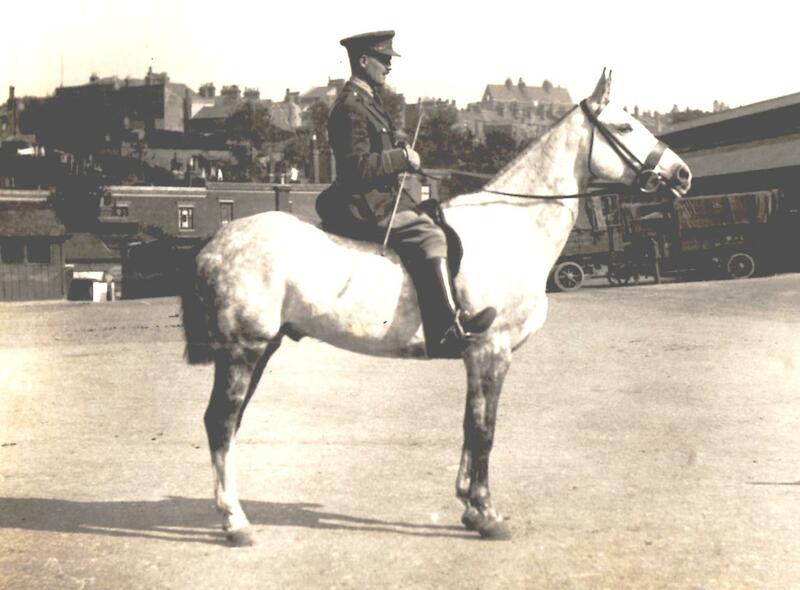 As Adjutant of the 3/5th (Special Reserve Battalion) he was sent to Belfast, Ireland in April 1917 and was there until July 1919, and released on 14 August, 1919.